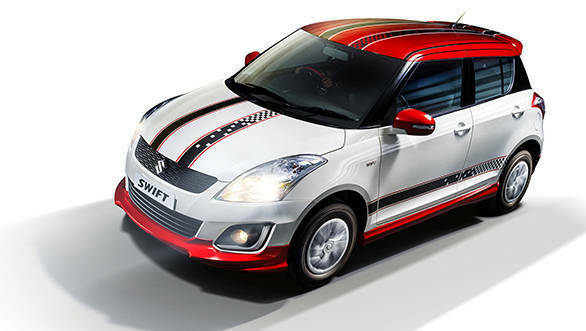 Maruti Suzuki have launched the a new edition of the Swift called the Swift Glory. It will only be available in Vxi and Vdi trims. A host of visual tweaks distinguish the Maruti Suzuki Swift Glory from the standard models. The Glory edition gets racing inspired styling kit that includes front and rear under body spoilers, rear upper spoiler, side skirts, two-tone colour roof and checkered flag-like graphics. Inside, there are two-tone seat covers with a matching steering wheel cover, gear boot cover and floor mats. A two-din Bluetooth music system with touchscreen with Swift Vibe EQ mode (seen in the Swift Windsong) and reverse parking sensor with a camera are the equipment upgrades. This edition still doesn't get steering mounted controls and airbags. Maruti claim that the Swift Glory gets 11 new features over the regular variants. 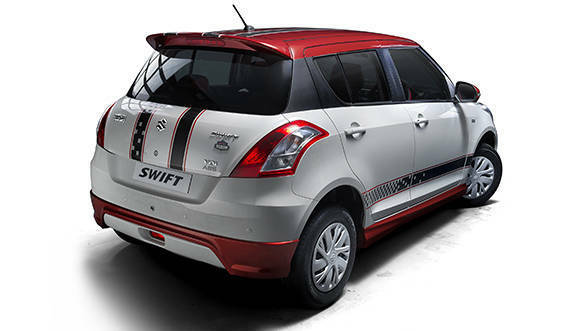 The Maruti Swift Glory is priced at Rs 5.28 lakh for the Vxi trim and Rs 6.20 lakh for the Vdi, both prices, ex-Delhi. This makes it Rs 11,300 more expensive than the current trims. Presenting the new Swift Glory, R S Kalsi, executive director, marketing & sales, Maruti Suzuki said, "Swift Glory is created to capture the spirit of sports in our everyday life. 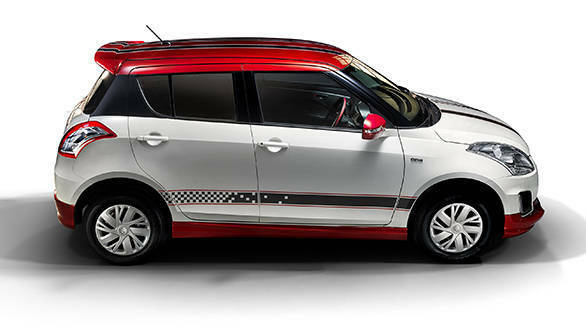 The racing themed premium seat covers, body graphics and floating roof make it sporty. The trendy touchscreen multimedia stereo and reverse parking sensor with camera make the Swift Glory even more attractive. We are confident that customers will appreciate the special edition of Swift Glory." There are no mechanical updates to the Maruti Swift Glory edition as it gets the same 1.2-litre petrol engine producing 84.3PS of power and 115Nm of torque and 1.3-litre diesel producing 75PS of power and 190Nm of torque. This looks like a stopgap measure from Maruti Suzuki to push the sales of the existing Swift model before they launch the 2016 Swift.